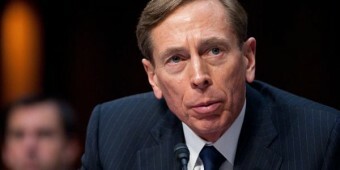 Limbaugh: Will Petraeus drop Benghazi bombshell? Was Stalin impeached? Did Mao have to answer questions from his government? Is Chavez in jeopardy of being made a fool of by his own government? No. Inside of a thugocracy, the leader is untouchable. The state press serves as the pleasure of the tyrant as is his men. The tyrant is in position to always win. When the deck is stacked, the house always wins and trust me, this deck is stacked. - W.E. With some speculating that former CIA Director David Petraeus may be under a blackmail threat from the Obama administration, radio giant Rush Limbaugh is not expecting the general to contradict his testimony about the attack on the U.S. consulate in Benghazi when he testifies before Congress this week. Petraeus resigned his position at the CIA three days after Obama was re-elected, citing an extramarital affair with his biographer, Paula Broadwell. On Sept. 13, Petraeus testified to Congress about the 9/11 attack in Benghazi, going along with original claims by President Obama and his aides that the violence erupted in reaction to an anti-Muslim video. The onslaught killed the U.S. ambassador and three other Americans. Since then, administration officials have said it was a terrorist attack designed specifically for the anniversary of the Sept. 11, 2001, attack on New York and Washington, D.C.
“If Petraeus goes in there and says anything different than what he said on September 13th, do you know the world of hurt that he’s in?” said Limbaugh. Petraeus is expected to testify behind closed doors for members of Congress, possibly Thursday and/or Friday, but Limbaugh expects nothing new to be said. He explained: “If you have some hope or prayer that there’s gonna be some huge treasure trove of ‘Gotcha Obama’ from Petraeus’ testimony, it isn’t going to happen. A, he’s not gonna commit perjury, he’s not gonna say something different than he said last time; and B, whatever they’ve got on him, they’ve got on him. “They were able to kick him out of office, they were able to blackmail him, do whatever with this affair business. They kept it. They knew what was going on. They held it in check until they needed it.